Find the best price forQuilting On The Go! Imagine being able to quilt on vacation, at the beach, or virtually anywhere else you find yourself. Jessica Alexandrakis has traveled the world with her on-to-go sewing kit and small stash of fabric, creating strikingly modern patchwork along the way. Now she shares everything she's learned about this addictive, beginner-friendly technique. Whether your style is classic or modern, Jessica offers a range of stunning projects, from small home accessories to full-size quilts, for all skill levels. So leave the sewing machine at home. Take your quilt to go. 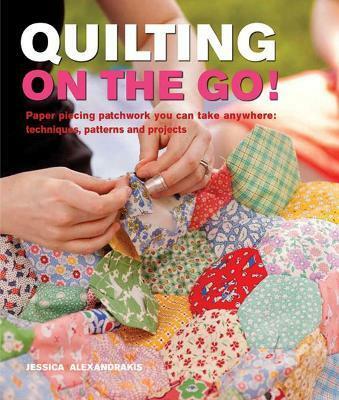 Compare New Book Prices for Quilting On The Go!